KANARRAVILLE FALLS – Emergency responders transported a Las Vegas woman to the hospital Tuesday afternoon after she was injured while hiking a popular Southern Utah tourist attraction. Lisa Vargas was hiking with her young grandson to Kanarraville Falls when she fell over a log, Iron County Sheriff’s Lt. Del Schlosser said. Iron County Sheriff’s Search and Rescue team responded to a call for help from another hiker who found the woman around 12:15 p.m. The crews hiked up the slot canyon about a mile and a half before locating the 53- year-old hiker. 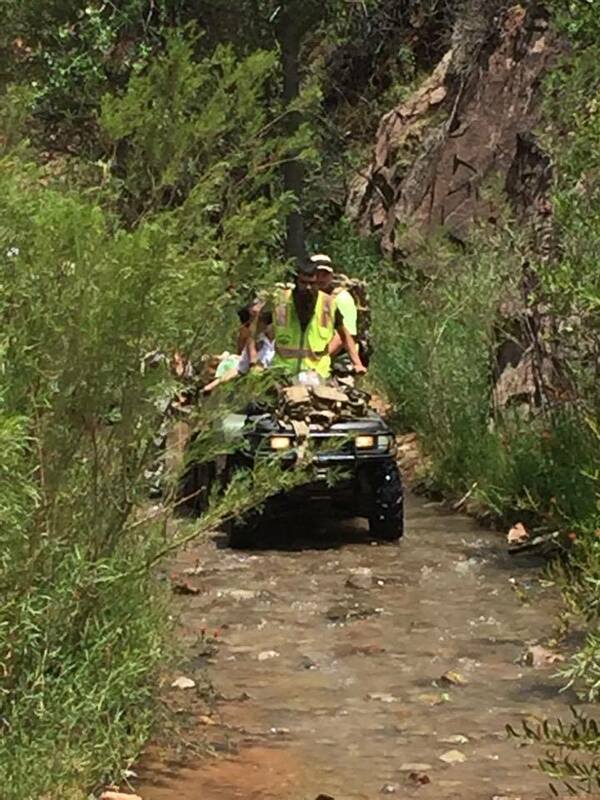 The team initially physically packed Vargas out of the canyon about a mile before being able to put her on an ATV to carry her the rest of the way to the trailhead. Schlosser said a sheriff’s deputy along with a ranger from the Bureau of Land Management made it to Vargas before anyone else. There was also a nurse who happened to be hiking the trail at the time who assisted on scene. “The ranger and the deputy, who is also a paramedic, were able to treat the laceration before the search and crews got there,” Schlosser said. While rangers are law enforcement officials they often participate in community policing and help to coordinate efforts with various agencies to assist when needed, Christian Venhuizen, public affairs officer for the BLM Color Country District, said. Vargas was transported by Gold Cross Ambulance to Cedar City Hospital where she received further treatment for moderate injuries and lacerations.